Although we are lawyers and not doctors, you will find as many medical books on our shelves as you will legal books. So many of our patients have been hurt or otherwise injured that educating ourselves about the basics of illness and medications is an essential part of our job. While that certainly does not qualify us to give medical advice, it does explain why it is so important to us that our clients educate themselves about the medications they are taking. In today’s world, we are lucky to have medicines to cure a variety of illnesses. 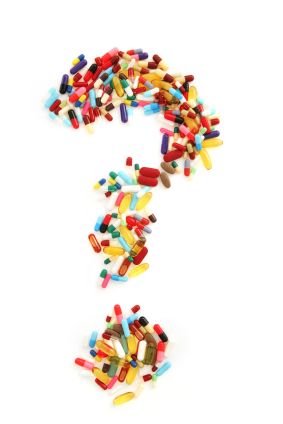 Many people also choose to take supplements in order to avoid or complement those medications. Dietary supplements include things like vitamins, minerals, herbs, and enzymes. Unfortunately, just as we have learned that some medications can be dangerous or even deadly, so too can some “natural” supplements. A recent Consumer Reports study found that 15 common supplement ingredients currently on the market are potentially harmful, with risks that include organ damage, heart attack, and even cancer. The study also found that the potential benefits of these supplements certainly do not outweigh the risks. Your potential reaction to these supplements would depend upon your current health, how long you have been taking the supplements and in what quantity, and what other medications you’re taking. While the FDA does regulate dietary supplements to some degree, they are not nearly as closely monitored as over-the-counter and prescription drugs. As we have learned in our practice, even those closely monitored medications can often have serious or deadly side-effects. Supplement manufacturers do not have to prove the effectiveness or purity of their products to the FDA. Research your supplements on reputable, noncommercial websites such as the National Institutes of Health, the FDA, and the USDA. Carefully research the manufacturer’s recommendations and potential drug interactions. Always check with your healthcare provider before adding any medication or supplement to your diet. To learn more about dangerous drugs and devices, please visit our practice area page.